Beauty therapy is a field that incorporates many different activities, from make-up applications to beauty treatments to massages to nail services. Some beauty therapists even incorporate holistic aspects into their work, for example by offering reiki and aromatherapy options. While most beauty therapists work in traditional environments such as in salons and at spas, many choose instead to work for themselves on a freelance basis. These freelance beauty therapists tend to be mobile therapists who can travel to clients to provide beauty treatments. Those interested in pursuing a career in freelance beauty therapy should look into obtaining professional qualifications, equipment and insurance before making any firm plans. There are a number of qualifications that allow beauty therapists to become accredited in the United Kingdom. There are City & Guild awards, certificates and diplomas, NCFE awards, ITEC certificates and diplomas, VCTC diplomas, EDEXCEL awards, diplomas and certificates and more. However, not all awards, diplomas and certificates convey professional qualifications on their own. Those interested in obtaining full professional qualifications should contact relevant awarding bodies for further information on requirements and accreditation. Many future beauty therapists prefer to study at an accredited school or institute so that they can feel confident in their course load, as well as because working with such organisations usually offers them supervised practical components as well as the opportunity to specialise in some areas with further training. For those leaving school, counsellors may be able to offer suggestions about routes to beauty therapy qualifications while contacting professional beauty therapy organisations should offer prospective beauty therapists further information as well. Freelance beauty therapists supply their own equipment including their own uniforms. While clients will supply common larger items such as tables and chairs, therapists who offer massage will need to provide their own massage plinth or couch as well. Obviously equipment will differ according to the services that a therapist offers, but most carry supplies for waxing, facials, manicures, pedicures, make up applications, aromatherapy and massages. Other items such as towels, paper for the massage couch and even pillows should also be carried for the highest standards of service. Carrying consent forms for clients' signatures is advised for freelance beauty therapists as well. 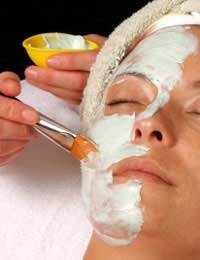 Freelance beauty therapists must arrange for their own professional insurance, often called beauty liability insurance. Some insurance plans differ according to whether or not a beauty therapist works in a salon or as a mobile therapist, so disclosing all relevant information about a freelance career is important. Those who are members of professional bodies such as the Freelance Hair and Beauty Federation may also find that there are special discounted or bespoke insurance schemes which they can join. Once a beauty therapist is duly insured, (s)he should carry proof of insurance at all times and be able to produce insurance certification upon request. Freelance beauty therapy is a field that offers an almost limitless number of possibilities. Obtaining professional qualifications, equipment and insurance are all vital for those hoping to work as freelance beauty therapists.